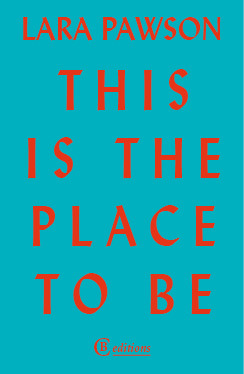 My second book, This Is the Place to Be, launched into the world in September 2016 with the utterly unique CB editions. It is a fragmentary & experimental memoir that started life as a sound installation. It was named a New Statesman Books of the Year 2016 and a BOMB Magazine Book of 2016. It has been shortlisted for the Bread & Roses Award for Radical Publishing 2017, the PEN Ackerley Prize 2017 & the Gordon Burn Prize 2017. Much to my amazement and delight, Olivia Laing told the TLS that it was her favourite book of the year (if you want to learn more about Laing and why she liked the book so much, take a listen to this episode of Literary Friction). This Is the Place to Be is available to order here. You can also buy it from most good bookshops including Foyles, Burley Fisher Books, Waterstones, Pages of Hackney, Housmans, LRB Bookshop, Broadway Books, Daunts and many more. On 7 March 2018, the French edition Là où tout se passe launched into the world with Les Éditions de l’Observatoire. The translator is Yoko Lacour and the editor is François Guillaume.